Are you ready for Father's Day? Here is your chance to get something that Dad can use no matter what he enjoys! What do you like to do for Dad on Father's Day? Do you take him out to dinner? Do you cook him a special meal? How about gifts? Do the kids make their dad a present? Give him a tie? Does dad make a wish list or do you just know what to get him for Father's Day? Have you ever given Dad a gift card so that he could buy whatever he wants? How about entering to win Dad a $100 Amazon gift card this year! Ergo Chef wants to make this Father's Day Special for one lucky winner, by providing a $100 Amazon Gift Card to the winner. When it comes to leaders in the cutlery industry Ergo Chef leads the pack by providing quality and durable products that no other company comes close to manufacturing. Ergo Chef offers many types of Kitchen Knife products that are used by the country's top Culinary Chef's. From their Pro Series brand to the Prodigy Series, each knife is constructed of quality German stainless steel and is back by a lifetime warranty. Shown below is the Ergo Chef Pro Series 7" Santoku Knife with Hollow Ground Edge. I have recently had the pleasure of using their Santoku 7" Knife and to my amazement, no other knife has ever come close to out performing this product. 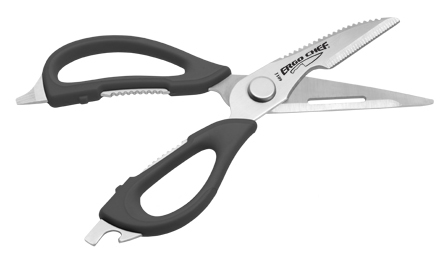 Their new kitchen shears are simply a work of art. Never have experienced so many quality features built into one product.You get a set of Shears that cut paper thin, but it doesn't stop there, they also work as a Vegetable Peeler, Fish Scalier, Bottle Opener, Twist Bottle Opener and a Screw Driver/lid lift all in one set of shears, they also simply come apart for easy cleaning. 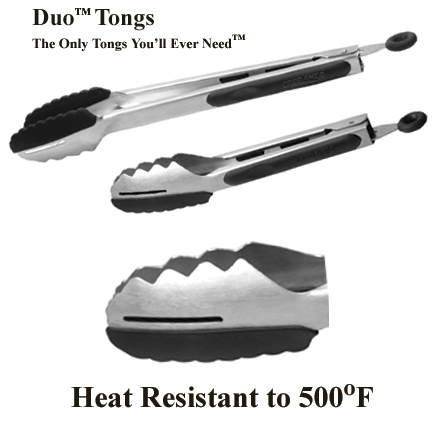 Ergo Chef's new set of 9" and 12" Tongs will provide you a lifetime of ease in your kitchen.or at your grill. The silicone side is safe for your non stick pans and is heat resistant up to 500 degrees Fahrenheit. The stainless steel side is great for extra grip and use on aluminum or steel pans. The Ergonomic angled head is great for picking up delicate foods with the silicone side.The slot in the tong head easily drains liquids when boiling or deep frying foods for no mess.They feature a comfort non-slip grip and a heavy duty a heavy duty spring for precise control. I could write page after page telling you how great these products all are, but to not deprive yourself from trying the absolute best kitchen knives and accessories, go to their website today to order your very own. Holiday Contest and Sweeps did not receive any compensation for this giveaway. 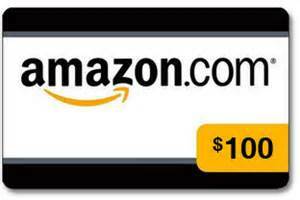 Ergo Chef will be responsible for awarding and sending the $100 Amazon Gift Card Card to the winners email address. This giveaway is in no way associated, endorsed, or provided by Facebook. Fabulous giveaway!! I have been looking at Santoku knives for about a year and still haven't bought one?! Having good knives - so important for cooking! I want to win for me! How selfish is that! ?